Many people, children and adults alike, do not look forward to visiting the dentist. 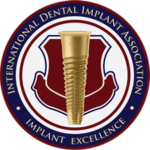 Therefore, we have committed our careers and our practice to changing that perception, one smile at a time. We pride ourselves on treating each person individually, meeting their personal comfort needs and ensuring them the highest level of care. After spending many years as dental associates, we joined forces to build a practice where we could focus on treating people uniquely. This takes the focus off of volume dentistry and overgeneralized care. 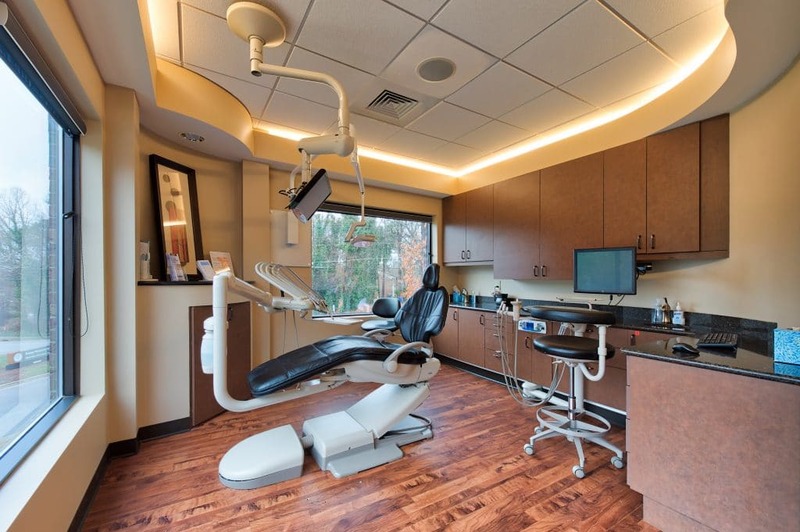 We spent over 3 years building a state-of-the-art dental practice, opening our doors in 2009 and have been a leader in general and cosmetic dentistry in Raleigh ever since. a comprehensive oral health care provider. We are located in Raleigh, NC but provide comprehensive dental services to all surrounding areas including Cary, Apex, Wake Forest, and Garner. Whether its coming in for a routine cleaning or a consult for a full mouth reconstruction, Renaissance Dental Center has the extensive experience and advanced technology to provide you the results you are looking for... and the look your smile has been waiting for. Contact our office today to find out more about our comprehensive list of dental services. Our dedicated concierge staff will provide a variety of appointment availability directing you towards the right provider in our office. 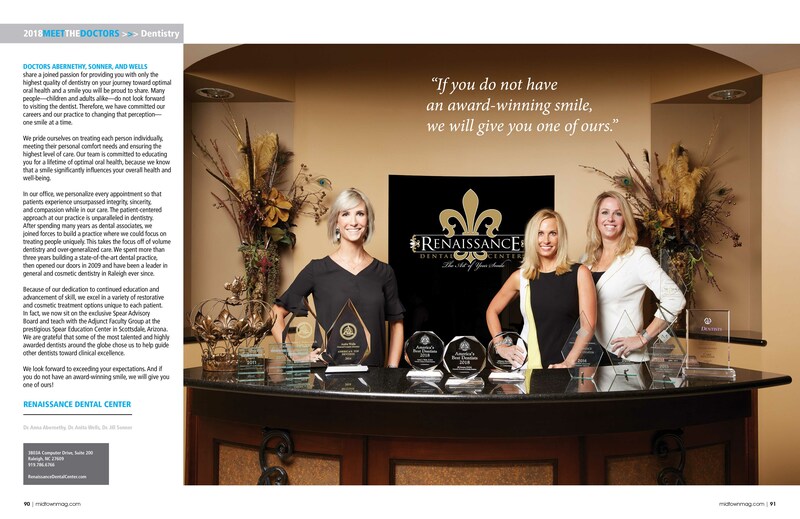 Let Renaissance be you and your family's dental home in Raleigh, NC. Call us today at (919) 786-6766 for optimal oral health and to achieve the best and brightest smile you have always wanted! Does your smile project your self-confidence? Is it as healthy as it could be? At Renaissance Dental Center, we combine personalized care with professionalism and expertise to make your dental experience a success in every way. 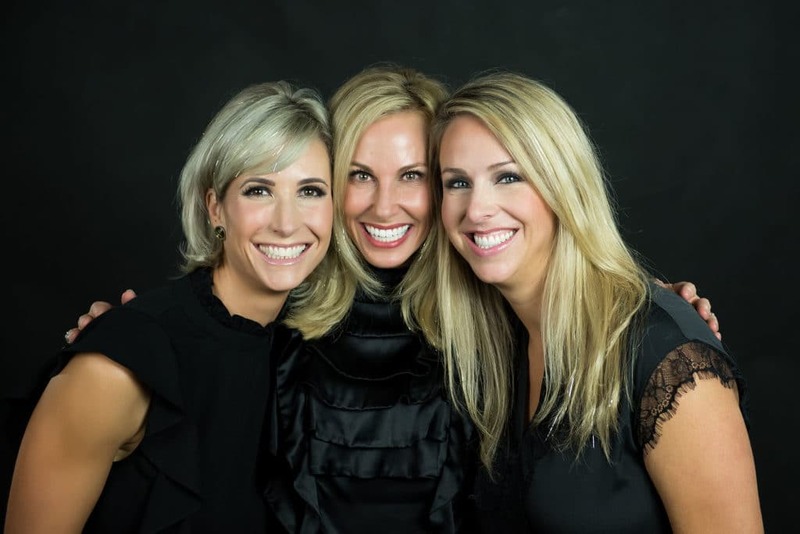 Whether you seek general dentistry, cosmetic dentistry, or restorative dental care, we will work together to define a treatment plan that's perfect for your unique needs. Think you have to be afraid of the dentist? Think again! Our unique approach to dental care ensures that you have a comfortable—even luxurious experience. From iPods and DVDs to massage chairs and a relaxing paraffin hand therapy… we put the “treat” in treatment.